Hemmerle white gold and copper cuff bracelet with an emerald-cut aquamarine. Hemmerle 18K white gold and aluminum harmony bangle with oval aquamarines. Hemmerle in collaboration with Gemfields, 18K and aluminum earrings with sapphires and amethyst. Hemmerle white gold a copper gemstone earrings with sapphires, tourmaline, rubellite and spinels. Hemmerle 18K gold and copper ring with a Ceylon sapphire. 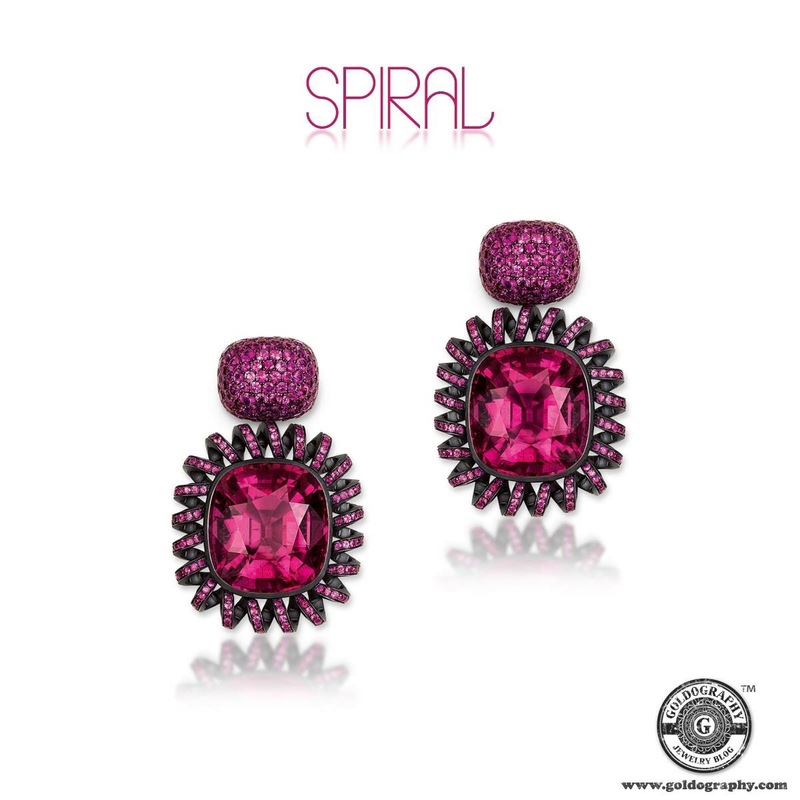 Hemmerle blackened silver and white gold earrings with pink sapphires and rubellites. 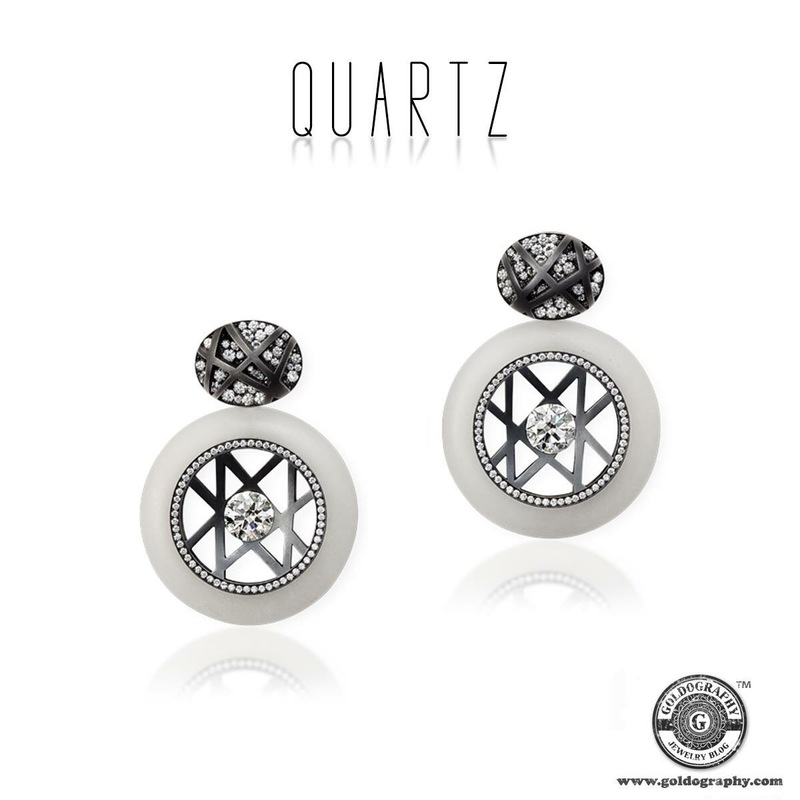 Hemmerle 18K white gold and silver earrings with quartz and diamonds.